One off full property relocations are hard and complex, but regular deliveries can also be a pain, especially when you do not have reliable movers by your side. That is why we are ready to step in at every moment, providing you with an on time, affordable and dependable delivery service in London. It does not matter whether you are running a company that has to regularly send off goods to clients/partners, or you are just looking for a one off service – we are the right people for you. We have a huge fleet of modern vehicles that would be perfect for transporting the goods you have to get delivered, no matter how many they are and what volume would they take up. Our clean LWBs, SWBs, MWBs and Lutons are equipped with GPS. They come with loading and safety gear, and we will send a skillful driver (plus movers, if that is necessary) who will make sure the job in done properly and on schedule. When it comes to business2business or business2client deliveries we are indeed the people you can count on no matter what. Call us today for booking and a free quote. Once you contact our polite, helpful and experienced customer support operators, you will realize you are at the right place. Tell us if you have any specific preferences as of the manner in which the delivery service in London we will provide you with should be handled, and we will make sure to come up with a proper solution up to your needs and preferences. We have been in the business of professional deliveries for quite some time now. This has given us the opportunity to learn the best strategies and methods that can be employed in the industry, but also enabled us to built a solid list of loyal clients who are satisfied by the quality of the job we do on their moving projects. Naturally, this helps us a lot to prove our credentials when we say we are the best moving company in London. If you ever need delivery services in London or any other sort of assistance with moving, you will make the right choice by joining our clients’ list. Our delivery services are credited to be the finest in London due to the fact that only we have the necessary resources to haul special items that require extra care during transport. This is why we are company of choice of most local galleries and museums. Our packers are highly skilled at creating sturdy and secure wooden creates and filling them with the necessary protective materials to ensure the safe and problem-free delivery of the moved fragile objects. So, if you own such items, don’t wait a minute longer to call us because we are contractors for you. Our policy of providing people who turn to us with comprehensive flexible scheduling for their relocation jobs applies here too. We understand perfectly well that the only way your deliveries are made in a satisfactory manner is when they are carried out at an exact time and we will make sure that the goods are at the assigned location exactly when they are supposed to – not a minute too late or too early. 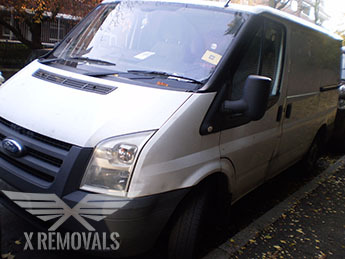 The best part is that not only will we handle your company’s regular deliveries in London, but we will also do it at a price other moving companies in the city cannot match. Discounts are offered in a variety of circumstances – check up with our support line for further details. And don’t forget to ask for a free no obligation quote when you get in touch. London is a huge metropolis with thriving commercial scene. Hundreds of thousands of businesses are registered here, both in the commercial heart of the metropolis – the City, and in the fringes of the huge metropolitan area, which covers approximately 8 382 sq. kilometers. London is home to the most famous clocktower in the world, Elizabeth Tower wrongly known as Big Ben (Big Ben is the Great Bell inside). The structure dates back to the late-1850s and is perhaps the most emblematic landmark of the English capital. It is also one of the most visited touristy sites on the European continent.